when you’re looking for traditional exposure. and throw down some traditional advertising. 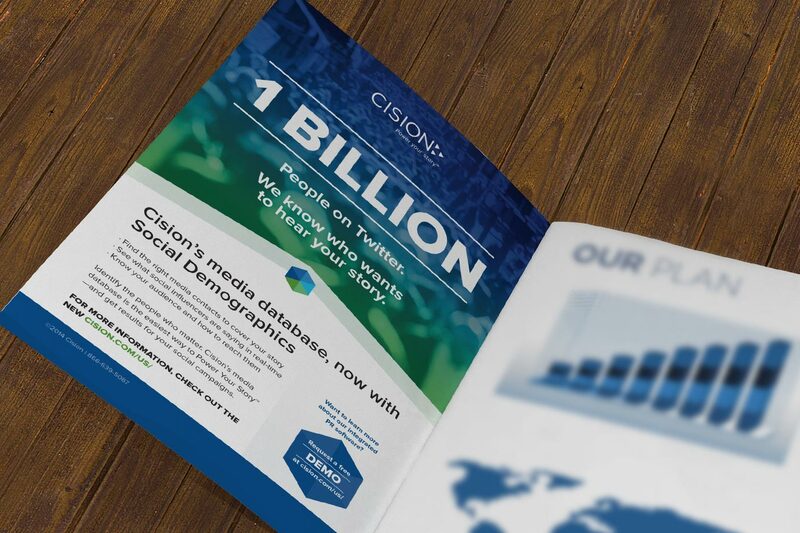 Cision needed a print ad to represent their new Social Demographics feature in their Media Database software services. This ad was to appear in multiple event brochures, so it needed to be detailed enough to explain the benefits of the new feature, but simple enough so it could be resized in multiple aspect ratios & page dimensions. We didn’t want to have to eliminate any content if a page was small vs. large, so we decided to move forward with an impactful image and minimal copy.